As per usual during my more unfocused, grappling times, I've clocked an inordinate amount of time scouring the dusty corners of the internet, a few of those anvil heavy reference sources that I never think about unless I've completely run out of things to look at. I've been searching for things like population densities of different areas of New England (in case I ever wanted to move to Littleton, New Hampshire), the Occupational Outlook Handbook (for median salaries of people who type out captions for television networks...not much, in case you were wondering), crimelibrary.com (for my weekly dose of existential dread) and, of course, cat videos on YouTube ( I am only human, after all.) I'll let you work out which of those is most amusing, but what what most consumes my time: apartment listings. I'm not ready to move by any means; I usually never am. But even when I'm freshly moved into a place, I still rummage through apartment listings during down times. It might qualify as a hobby at this point. I do this for many reasons. As I've discussed at length in this blog, I am perpetually restless. 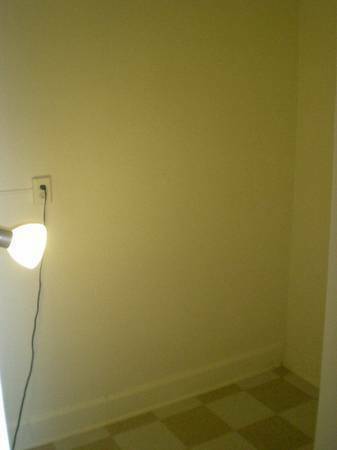 I'm coded that way and I like the possibility that there is a vacant apartment available to me, in my price range, just a phone call away. Aside from the thrill I get from seeing inside living spaces of strangers, (I especially enjoy photos of places where the previous tenant has not yet moved out and it looks like a Saturday morning after a true Friday night with scattered shoes and and crumpled clothing everywhere, a half empty bottle of Pepsi on the nightstand, a palpable image of regret and unshowered living), I imagine that the descriptions are rife with hidden meanings and metaphors. I like to project the apartment descriptions onto the landlord or to the previous tenant or to who I'd be after a few months of living there. I would be interested in starting a business that wrote apartment ads for a nominal fee. I'd employ thesauri and foreign languages. I'd consult the great American songbook for lyrics to describe basement apartments. How does this apartment make you feel? "No windows or door I will cover the doorway with a curtain of your choice"
"Width 5 1/2 feet, Length 7 1/2 feet"
"Smooth, creamy walls adorn this hushed, arcadian paradise. Have open access in your life with this unobstructed dwelling. Dynamic amenities include brand name, special edition appliances for all meals of the day. I have not said all! You will have more choices in fabrics for your singular curtain than Jay Gatsby had pastel shirts.